It is our mission to make the martial arts accessible to all those who desire to benefit and learn. The many benefits of learning the martial arts are well known and undeniable! Sadly, the cost to learn martial arts is increasing regularly, and these benefits are quickly becoming out of reach for many. The Martial Hearts Foundation wants to ensure that those who want to learn the martial arts, and need it the most, are able to regardless of their financial situation. 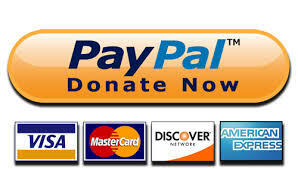 It is our goal to establish scholarship funds for two very important groups. First, we will offer scholarships to cover the tuition for low income, or at risk individuals who wish to join a martial arts school, but simply cannot afford to. Second, we will offer academic scholarships for established martial arts students who wish to continue their education through college or trade school. In addition to scholarships, we will also work to bring low cost or free learning opportunities to the martial arts community, through workshops, seminars, and group classes. Finally, we will host at least one annual martial arts tournament, with the goal of bringing together the martial arts community to build bonds, compete with, learn from one another. Martial Hearts Foundation is a registered 501 (c)(3) Website and hosting provided by: Kung Fu Northwest Inc.